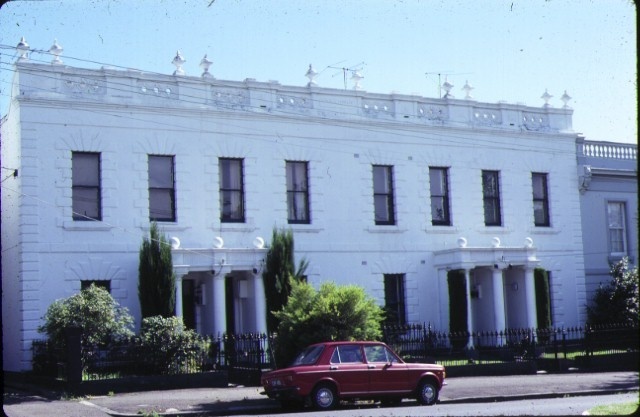 Cyprus Terrace is a row of four terrace houses at 158-164 Hotham Street erected in 1867 by Thomas W Stewart. Two Doric style porticos decorated with baubles each contain two entrances. The porticos are designed to give the facade the appearance of two houses rather than four. The window openings have strongly articulated quoining reminiscent of the Gibbs' Surrounds manner. The parapet is punctured with circular openings and is decorated with urns set in pairs. An iron palisade fences divides the small front gardens from the street. 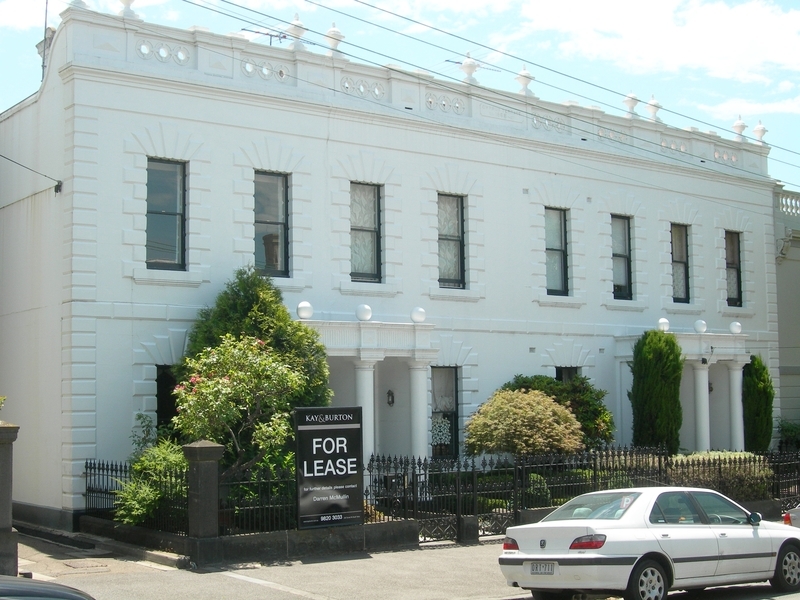 Cyprus Terrace is of architectural significance to the State of Victoria. Cyprus Terrace is architecturally significant as an unusual form of the terrace house in Melbourne. The facade was designed to give a grand impression of two large houses rather than the four it actually contains. 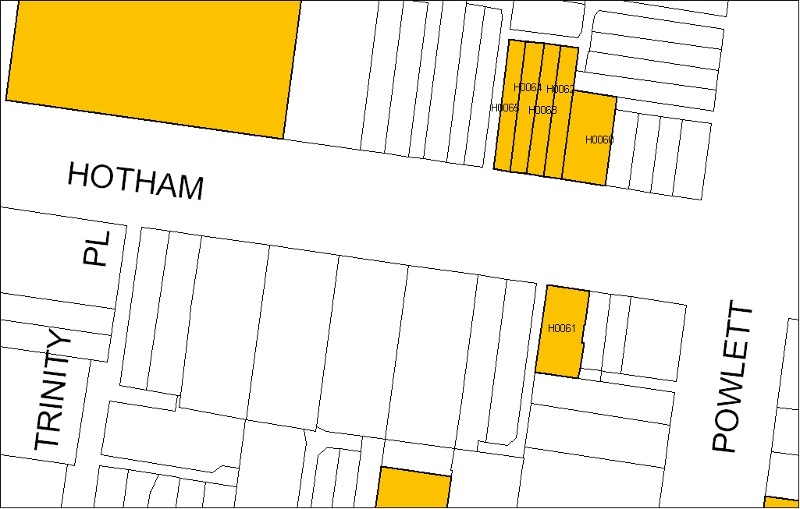 It's formal but unusual composition demonstrates the aspirations and pretensions of early East Melbourne developers. The decorative treatment of the facade is significant for its motif touches, such as the distinctive window quoining which is unusual for residences of this period. City of Melbourne. No. 62. Cyprus Terrace, 158 Hotham Street, East Melbourne.